The parish of Pontbleiddyn was created on 23 May 1844, from the township of Hartsheath, and parts of the townships of Leeswood and Bistre, all of which had previously been in the parish of Mold. (The parish of Bistre was created on the same day, from other parts of the parish of Mold). 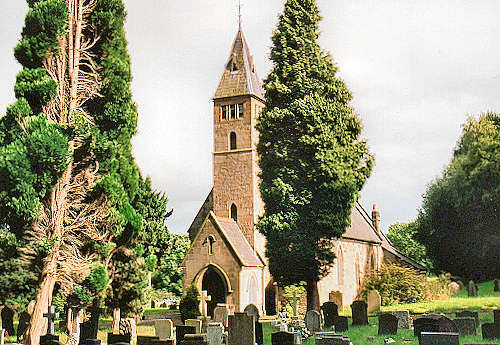 The first church at Pontbleiddyn was opened in 1836, initially as a chapel of ease within the parish of Mold. It was intended to serve the population of the industrialised area around Leeswood, and was built hastily and at minimum cost. For family history information about the church and parish, visit the GenUKI Pontbleiddyn page.